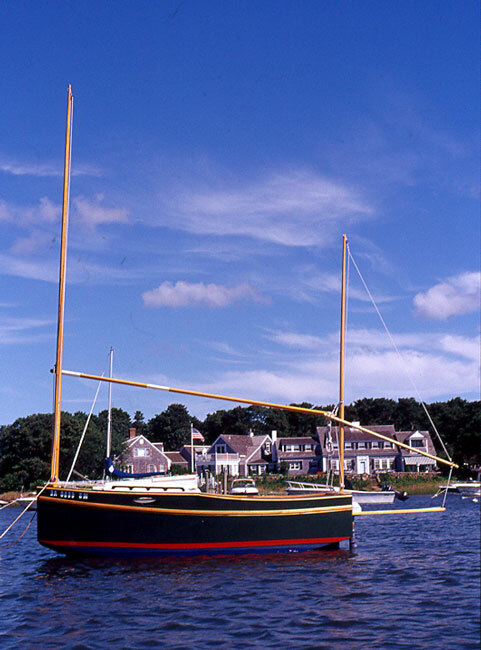 Launched in July 2002, David Jost built this sprit-rigged micro-cat-ketch from plans by Phil Bolger and Friends. He built FIREFLY using bronze-fastened marine plywood covered with 6 oz fiberglass set in epoxy. David plans to use FIREFLY in the Allen Harbor, Harwichport, MA and other coastal and interior waters of New England.